It’s no secret I love pizza, particularly those with a thin, crusty Italian style base; a type which I know is enjoyed by many. 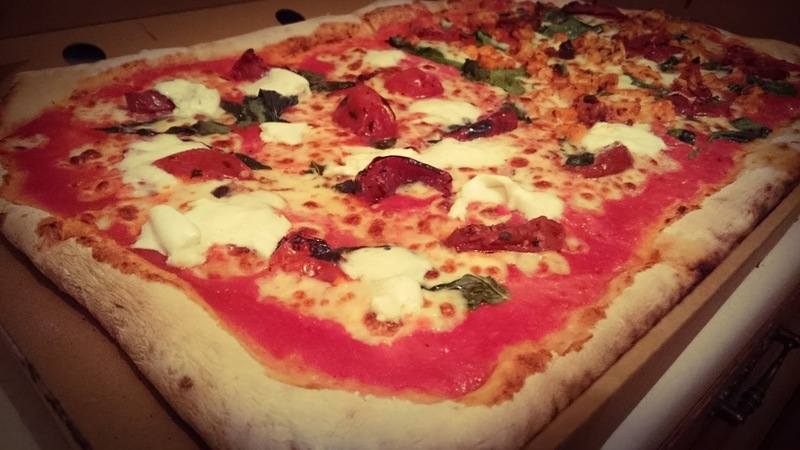 Despite this, local pizza takeouts tend to cater for the American style bases with a thick or filled pizza base and crust…Then along came Affamato in Milton Keynes! After enjoying the delightful Affamato on a few occasions now, I decided it was time to recommend it to others so they too can enjoy the great selection of pizzas they have on offer. If you haven’t tried it already it is a must and not just because the pizzas are cooked fresh to perfection in a woodfired oven but also the prices/deals on offer rival those seen for well known chains such as Domino’s and Papa John’s. A Twosday offer is available on Tuesday enabling you to get a second 12” pizza for £2 when ordering one 12” pizza. Affamato have various signature pizzas to choose from and my favourites so far are the Florentina and the Bufalina DOP. The Florentina has baby spinach,feta cheese, black olives, oregano, olive oil, mozzarella and is topped with an egg, which once you try it you will see why it’s my favourite! The egg was cooked perfectly, great to dip the crust in and out of the pizzas I’ve tried tasted the best the next day! The Bufalina DOP was great for those who like a veggie pizza and if you have other toppings in mind there are over 30 ingredients to choose from if you want to create your own pizza with unlimited toppings at no extra cost. If you’re still not able to choose you can opt for an 18” half and half pizza for £16.99 or choose the Friends & Family Deal which includes any 18” half and half pizza, 3 choices of sides, salads or desserts at the very competitive price of £23.99. The garlic mayonnaise and parsley dip was ideal to dip the crust and was the perfect accompaniment for the pizza. Takeout desserts generally taste like they have been kicking around for some time, though that wasn’t the case with the honeycomb cheesecake at Affamato. We ate the cheesecake the next day and it was divine, crumbly base with a soft topping and we were pleasantly surprised. Presently, Affamato are only able to deliver to MK1 – MK10 postcodes though I understand those in other areas have had theirs delivered to their car when driving to places within the postcode area. Upon calling for a delivery the waiting times given are generally around 50/55 minutes, although I have always found the delivery times to be around 30 minutes with no issues. 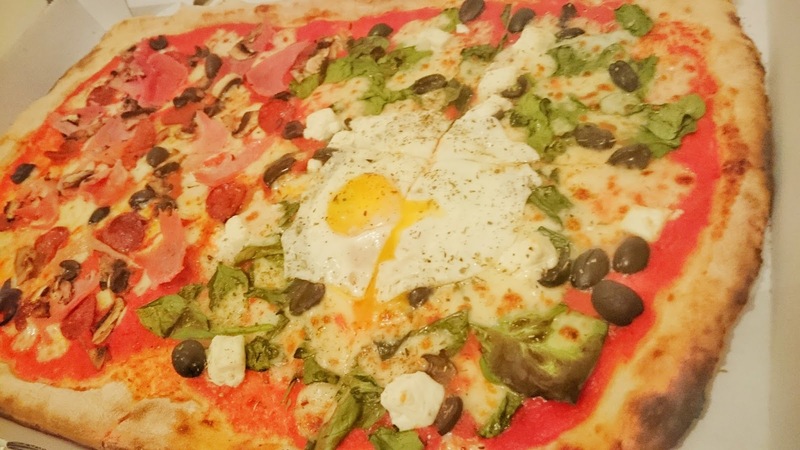 Affamato has pizzas to die for and in light of the exceptional service and fantastic prices it is sure to remain a firm favourite in my house. Perfect if you’re looking for a new takeout and a good opportunity to support a local business.